In 1975, after one year of defending insurance companies, he began exclusively representing individuals injured by the negligence of others. His clients included victims of automobile, truck, premises liability, professional negligence and product liability accidents. Mr. Anderson has been lead counsel in hundreds of personal injury trials and has been Board Certified by the Florida Bar in the field of Civil Trial Practice since 1983. He has been recognized as a Top 100 Lawyer by the invitation-only National Trial Lawyers and selected for inclusion as a Super Lawyer. Tim has been included in Tampa Bay Magazine as one of Tampa Bay's top lawyers and holds the highly prestigious AV preeminent rating* by Martindale Hubbell. Professional memberships include The Florida Bar, American Association for Justice, Florida Justice Association, Tampa Bay Trial Lawyers Association, Hillsborough County Bar Association and Master of the American Inns of Court. 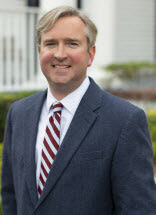 During his career he has always maintained a policy of mentoring younger attorneys. During his high school years Mr. Anderson was a dedicated athlete playing a variety of sports, including basketball and baseball. He earned a full scholarship to play both of those sports at the collegiate level. That background led to many years of coaching in a variety of youth leagues in the Tampa Bay area. When not participating, he avidly supports the USF Bulls, Tampa Bay Rays and the Tampa Bay Lightning, in addition to his alma mater. Tim is a member of American Legion Post 273, Madeira Beach, having served in the United States Army before law school. He is also a member of Palma Ceia Lodge 290 F. & A.M. and the Egypt Shrine in Tampa.